Did your children visit a dentist last year? If so, they’re in the 60% of children that did see a dentist during 2015. Statistics from NHS Digital have revealed that a staggering 40% of children in England did not visit their dentist last year. This is despite dental care being widely available and free of charge for children and teenagers under the age of 18. At AP Smilecare, family dental care remains at the heart of our services. We offered tailored check-ups for all members of the family always encourage families to attend together and make their appointments regularly. The latest NHS report showed varying statistics across the UK – with some areas worse than others when it came to dental healthcare. Children in the north of England had the best attendance, with 62% of children seeing their dentist during 2015. London, however, had one of the poorest attendance records, with just 48% of children in the city visiting their dentist in 2015. 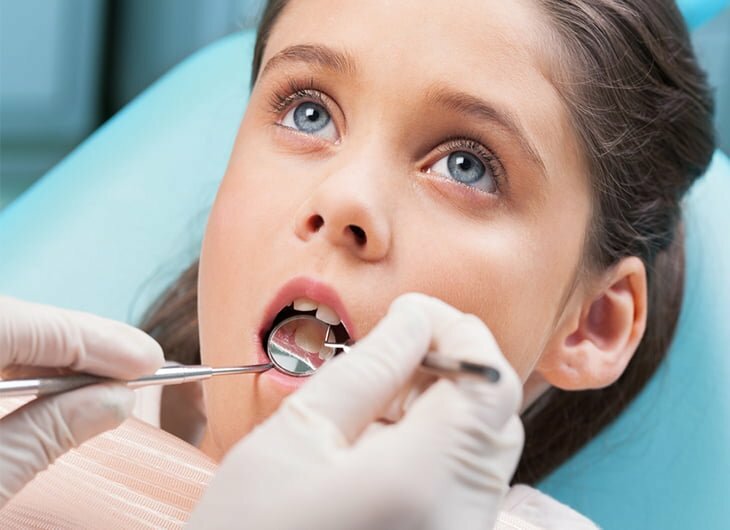 Failure to visit a dentist puts a child’s oral health at risk. A visit to a dentist helps prevent tooth decay too – which remains the most common reason young children in England go to hospital for each year. The statistics showed a 20% rise in children needing fluoride varnish treatment, to strengthen their enamel. There was also a 10% rise in children needing tooth extractions between 2014-15 compared to numbers recorded in 2011-2012. Children should begin seeing a dentist once they have their milk teeth. NHS guidelines say that children should have had at least one visit to see a dentist before the age of two. As a parent, you should also give your infant a good start by promoting good oral hygiene. Begin an oral hygiene routine early, by brushing your child’s teeth for them using a soft brush and tiny amount of fluoride toothpaste. As your child gets older, show them how to continue brushing their teeth independently – using a mirror as a teaching aid. Of course, limiting the consumption of sugary and acidic foods is also crucial in protecting teeth and minimising the risk of decay. At AP Smilecare, we have all your family needs covered. Our friendly dental practice in Blackburn is welcoming and comfortable, with dentists trained in working with people of all ages. During a child’s dental appointment, we’ll take a look at the health of their teeth – making the session fun and informative for your child. Our team will also be on hand to offer help and advice for all your oral health questions. We can give tips on how to brush, recommended toothbrushes and toothpastes and much more. We’re also great with phobias too! If you or your child has a phobia of the dentist room, why not enquire today about our treatments? From hypnosis to sedation we’ll help you find the best solution.